How do you feed an island-nation that is 100 percent urbanised? Amelyn Ng asks urban agriculture specialist Ngiam Tong Tau about the challenges of food security, the loss of farming to development, and the role technology plays in Singapore’s food future. Singapore is a fascinating case study in urban agriculture. Few people know its history and potential more than Ngiam Tong Tau. 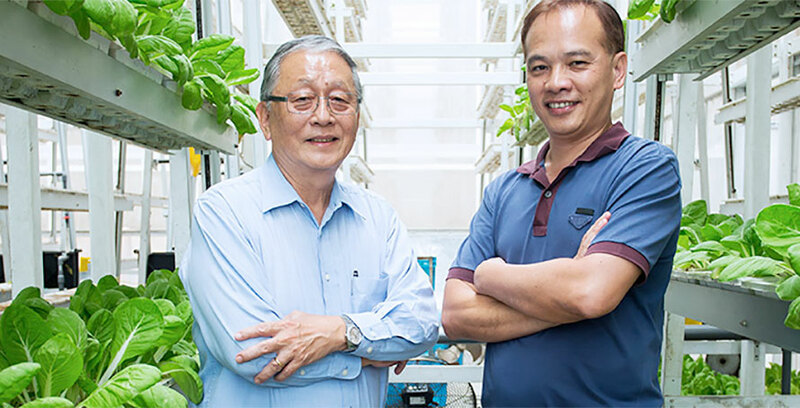 He is a respected food and agriculture consultant who has spearheaded Singapore’s agricultural and veterinary developments since the mid ‘80s. Over that time he was responsible for establishing a national Food Safety Program that oversees the country’s food security and food imports. More recently he has helped develop Singapore’s first agrotechnology and aquaculture parks, for local agriculture and food production. Amelyn Ng: Food has such a central role in Singaporean everyday life, yet behind the scenes there are myriad environmental, economic, political and cultural conditions at play. Could you define the nature of Singapore’s relationship to agriculture and some of the key challenges it faces, which other countries may not have to think about? Ngiam Tong Tau: In Singapore, the key challenge is the lack of land for agriculture. Singapore is a small island of only 750 square kilometers. Farms are therefore close to urban areas, yet the public is increasingly intolerant to waste and smell, especially from livestock farms. Also, in Singapore the conservation of scarce water resources takes precedence over the agriculture industry. Consequently, farmlands are shrinking. In the 1960’s the area given over the farms was 15,000 hectares. Today that area has reduced to just 600 hectares. Farms have given way to industrial development, public housing and water catchments. Drastic policy measures were taken to resettle farms, in order to minimise water pollution and clear land for the development of new residential towns. For example, the Ponggol and Jalan Kayu farming estates once had about 600,000 pigs over 300 farms, but it was phased out by 1989. Today those farms have been replaced by the new towns of Ponggol and Sengkang, along with water conservation infrastructure features such as reservoirs. Another challenge is the shortage of local farmworkers, which has resulted in more foreign workers coming into Singapore’s agricultural sector. But because of a strict foreign labour quota that allows for only one foreign worker for every local worker, we have a catch-22 situation where farms are unable to attract enough locals to meet this quota. Remember that Singapore is a free port – local produce must also be price-competitive with imports from neighbouring countries such as Malaysia, Thailand, Indonesia and China where production costs are lower. Put these ingredients together, and it means that Singapore must constantly improve its agricultural productivity, through the adoption of technologies. This is a challenge as such technologies can be costly, and the farming industry does not have the financial sector’s support. Banks do not view farm assets as bankable. Farmers usually have to use their own funds for expansion, which limits the development of the farming industry. AN: Is this financial limitation related to how land is zoned and leased? How does the leasing of land work? NTT: Land is not permanently zoned for agriculture. Farmland is allocated and leased by Singapore’s land use and planning authorities, and these range from three years to 20 years. For example, the Agri-Food and Veterinary Authority (AVA) recently issued a tender for 15 hectares of land for vegetable farming in one and two hectare lots, on a 20 year lease. The land price is fixed by the Singapore Land Authority, so tender evaluation is based on proposed technology. This means existing farmers with limited capital may lose out to new players that have funding support. AN: What about vertical farming? 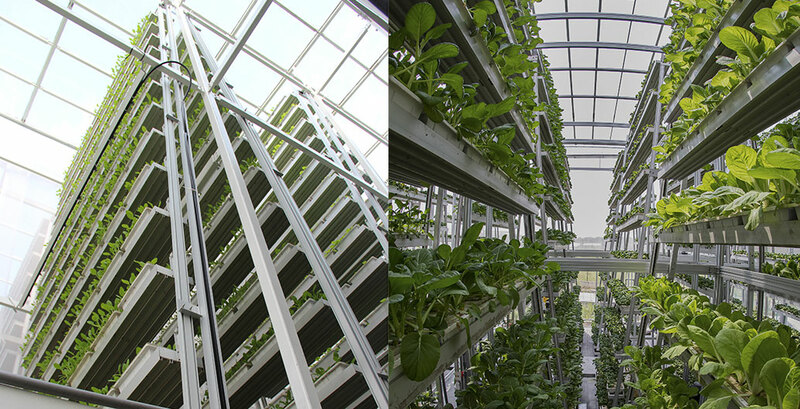 Singapore’s first commercially-viable vertical farm was built in 2012. Recent media coverage indicates a rising popularity in such sustainable local food production. NTT: Yes, Sky Greens has shown that productivity can increase land productivity by up to 10 times per hectare. To be specific, while a regular field produces 200 tonnes of vegetables per hectare annually. 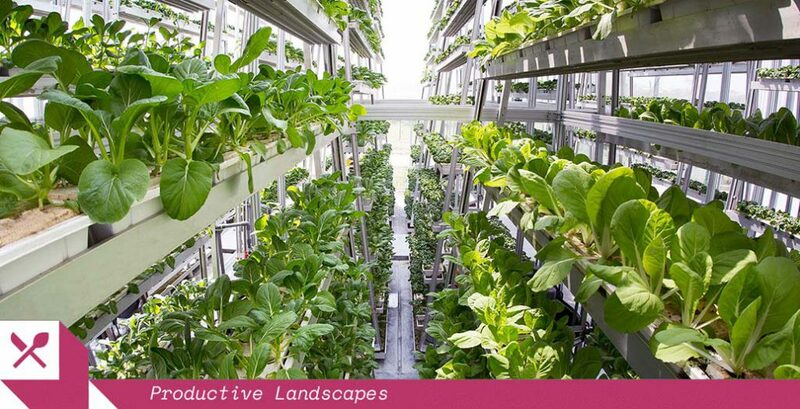 A vertical farm can produce 2,000 tonnes of vegetables. There is also increased interest in urban vegetable farming. To date there are about 12 farms currently on rooftops of large commercial buildings and factories. They produce mainly high-value greens such as lettuce, kale, mizuna and microgreens. Because rooftop farms have limited production capacity, they serve hotels and some restaurants. Factory farms can produce more, but the infrastructure and energy costs associated with artificial lighting and air-conditioning means they too can only afford to produce high-value vegetables. More urban farmers are experimenting with renewable energy technologies that utilise solar and wind power, which are cheaper to operate in the long-run. 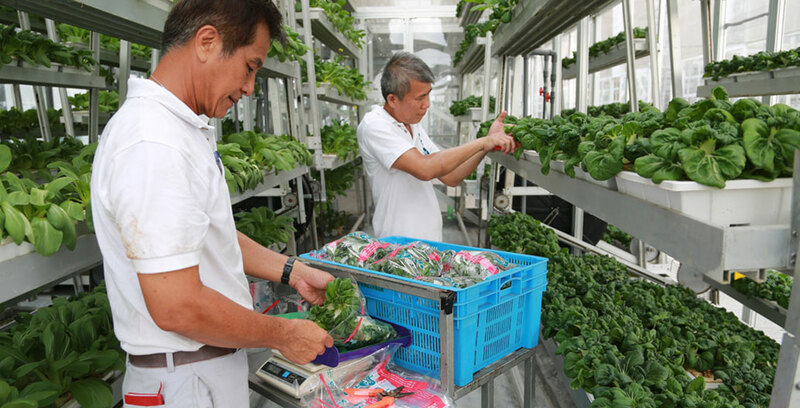 If it takes off, urban farms may eventually contribute more significantly to Singapore’s vegetable supply. AN: Could you expand on some of the recent technical innovations Singapore has seen? 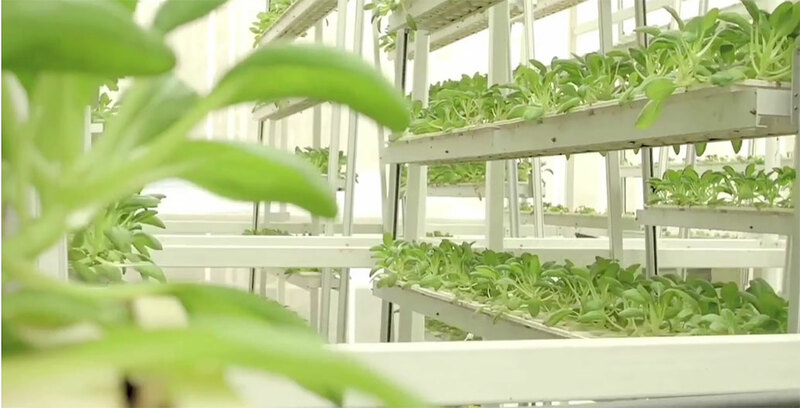 NTT: Locally developed Sky Greens vertical farming system use hydraulic rotating plant beds on towers that are nine meters high, which vertically farms vegetables at yields far higher than open-field cultivation, using minimal energy, water and natural sunlight. This kind of engineering innovation is a world-first. It received the Index Award in 2015, a major international design prize awarded by the Danish Government, and has since been adopted in the Hainan and Cixi provinces of China, Chonburi in Thailand, the Cameron Highlands in Malaysia, and in Tahiti. Another technology that is growing is aeroponic farming, where plants grow in an air or mist environment without the use of soil. This has also been successfully established in Singapore. 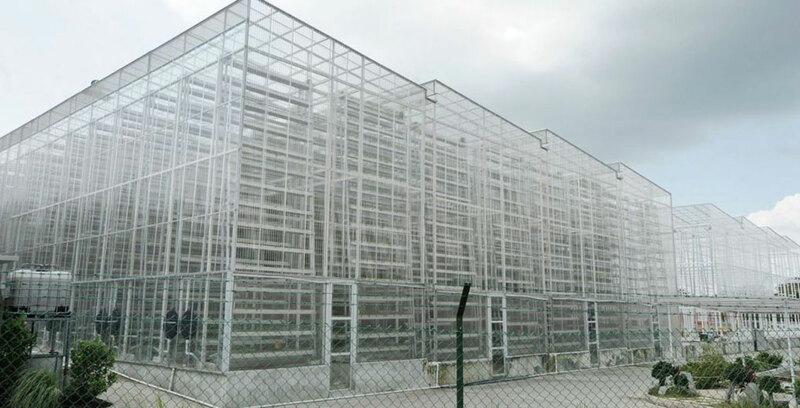 It is designed to produce temperate vegetables in the tropics. Agricultural entrepreneurs are exploring the potential of automation, adopting new urban farming technologies in central and peri-urban areas. Then there are Singaporean fish farmers, who have begun to creatively rethink methods of inland fish farming. Some use recirculating aquaculture systems, while others have even developed vertical fish farming systems to maximise production on the scarce farmland available to them. AN: Let’s extend the discussion beyond Singapore’s shores. Are there strategies in place to protect food security from outside the country? NTT: Singapore imports more than 90 percent of its food supply. Our strategy is to diversify food sources from various geographic regions, in order to ensure year-round supply of seasonal food and to hedge against the effects of climate change. For example, we are currently developing a Foot and Mouth Disease Free Food Zone in Jilin, China, to supply food to Singapore over the long term. Geographically, the Jilin Food Zone is twice the size of Singapore. A pig farming project is currently being developed there, and we have also begun importing Jilin rice which is gaining popularity. The success of the Jilin Food Zone may encourage us to develop Food Zones in other countries such as Australia and South America. AN: What is the biggest agricultural decision do you think that the next generation of Singaporeans will have to make? NTT: The next generation must ensure that agriculture is sustained in Singapore, by convincing the government to zone at least 1000 hectares of land for farming on a permanent basis. Without certainty of land tenure farmers will not be able to raise sufficient funds to adopt new, capital-intensive technologies. It comes right back down to Singapore’s perennial dilemma: the scarcity of physical space. Reclaimed land is far too valuable to be used for agricultural purposes. Our next generation of entrepreneurial farmers must embrace technologies to improve farmland productivity: not simply with a make-do approach, but really to make it do as much as possible.